When you read about Thanksgiving and accidents with turkey fryers you find some horrifying stories about fires and people losing their home because of that. Since I had the experience last year to see how an oil-less turkey fryer cooked one of the best Thanksgiving turkeys I ever had I wanted to tell you how it was cooked. It was cooked in an Infrared turkey fryer from Char-Broil. This is a company that is well known for his quality grills. The whole name is the Char Broil Tru infrared the big oil-less turkey fryer. A mouth full but it describes exactly what it is. There is no oil in the fryer and that makes it very safe and a non fire hazard compared to oil fryers. This infra red fryer 1s 24.5 inches high and the diameter is 22.1 inches. This is large enough for a turkey and even for 2 chicken at the same time. It is built form stainless steel and this will make it last a long time if you maintain it. We have found 90% of the reviewers gave it a 4 and 5 star rating and this is a pretty high score. Here are some of the most mentioned opinions we found. The fact that there is no oil was mentioned as one of the biggest advantages and that the turkey tasted so much better and was very moist. Assembling takes only about 30 minutes so make sure to do that before using it. Cleaning up after cooking is very easy and only one person mentioned that he would have liked the oil catch to be disposable but I think you can figure out how to do that. Some remarks were made about the health benefits compared to an oil fryer and I think that is a very good point since oil that will get in the meat is not healthy and this infrared grill does not use any more oil than you put on the outside of the turkey. It is important to know that you can also use it for any other kind of meat like chicken, Boston but and I have even seen someone cook ribs in it. The quality was mentioned a few times a little cheap, but with the right maintenance it will last a long time. Many seasoned users mentioned that is is a good idea to oil the fryer after every use. We did a lot of reading and on a variety of websites and dug through a ton of comments. There is not too many bad things to find about this oil-less turkey fryer. A few people mentioned that the welding was not of the best quality, but that were just a few people. There are also many recipes available for chicken, pork and beef to use this fryer. Most mentioned was the fact that there was no oil to buy and dispose of later. 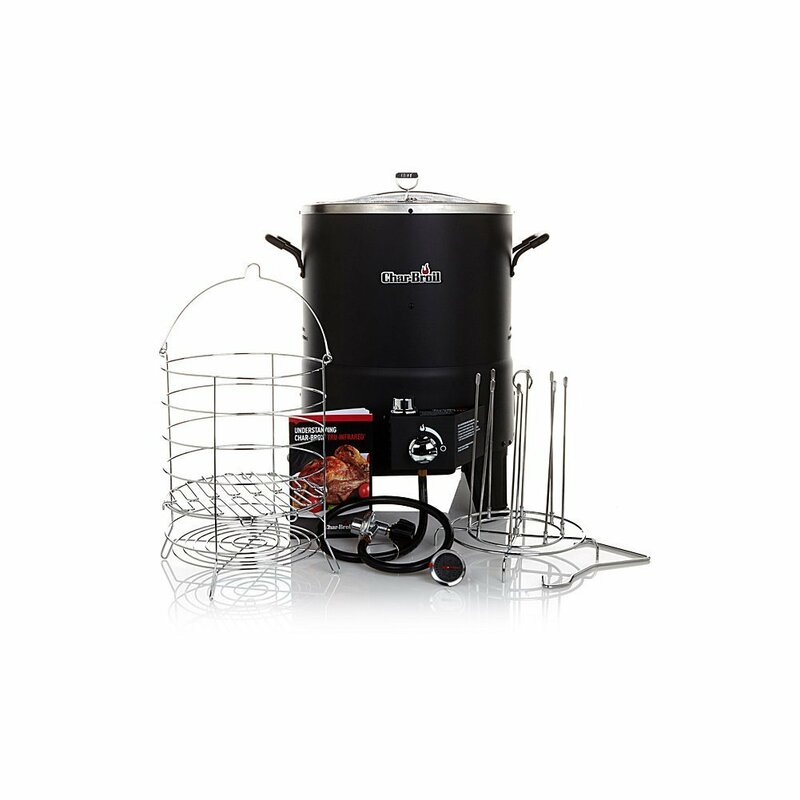 That in combination with the safety of this TRU infrared fryer and the fact that I have had a turkey that was cooked in it and I loved it, makes me highly recommend the Char Broil Tru infrared oil less turkey fryer. Over 1100 reviewers and an average of 4.7 stars out of five says it all!! 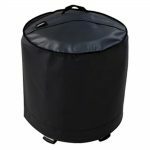 A quality grill cover is something that we would recommend for any grill and this one is no exception. Click here to find the price for this grill cover that fits the oil less turkey fryer perfect.